On the morning of 10 April 1963, the Thresher proceeded to conduct sea trials about 200 miles off the coast of Cape Cod. 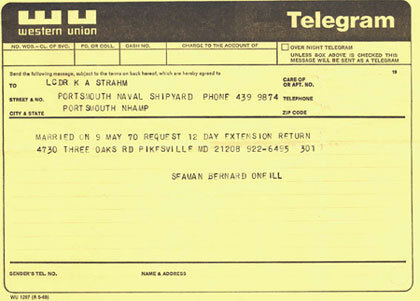 At 09:13 hours, the USS Skylark received a signal indicating that the submarine was experiencing "minor difficulties." Shortly afterward, the Skylark received a series of garbled, undecipherable message fragments from the Thresher. At 0 9:18 hours, the Skylark's sonar picked up the sounds of the submarine breaking apart. All hands were lost -- 129 lives. Well time moved on ever so slowly so it seemed. I personally became home sick and had accumulated earned leave time that I promptly used to return home and see my family. Prior to joining the Navy I had discussed getting married to my then girlfriend and on my way off the boat to go home Senior Chief Sonar Operator Gerry Pollard, Chief of the Boat remarked to me “O’Neill, I don’t want to see you go home and get married young man, you get back here safely and single you hear me?” “OK, Chief I replied, I’ll see you when I get back.” Well making a long story short – about a week later I telegraphed the boat and requested extended leave since I had done just eloped and married my high school sweetheart. I still have a copy of that Western Union telegram to this day. 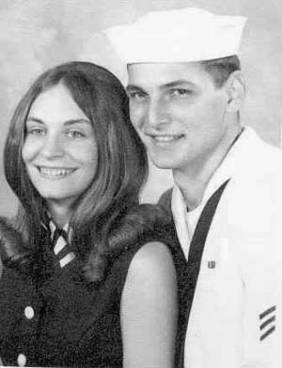 “Married on May 09, 1970, requesting extended leave.” Needless to say, it was granted and I had a little explaining to do I thought, upon my return to what the Chief of the Boat (COB) had said. However all worked out in many ways then one. My Wife and I have a wonderful family and raised 5 beautiful and loving children. It was not without pain as we lost our oldest child Colleen Lorraine, to meningitis and two other premature male children at 6 months of development during pregnancy. We named the first Brian Scott, and the second Brendan William. All three are at rest together in St. Joseph’s Cemetery in Hanover, Pennsylvania. While the Sand Lance continued to be constructed many of the crew had individual training assignments to attend to, one such requirement was to have qualified backup Helmsman and Plainsmen operators. These two functions are responsible for the literal steering, diving and navigational control of the submarine. 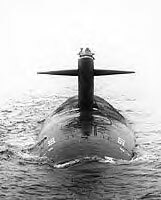 My training for this crew role was conducted onboard the USS GATO (SSN 615) pictured below. 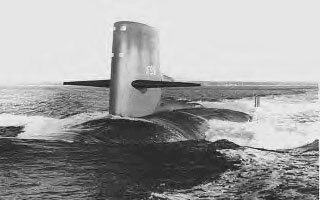 First Nuclear Submarine I was at sea on, 1970. It was during this time in U.S. Navy History when a new style Chief of Naval Operations took Command of the Naval Fleet. His Name was Admiral Elmo Zumwalt Jr. His personal philosophy was to openly communicate with every member of the “New Navy”. So when I completed standing watch and assisting with the check off and acceptance of the many newly installed shipboard systems I found time to write Admiral Zumwalt. His reply is contained herein. 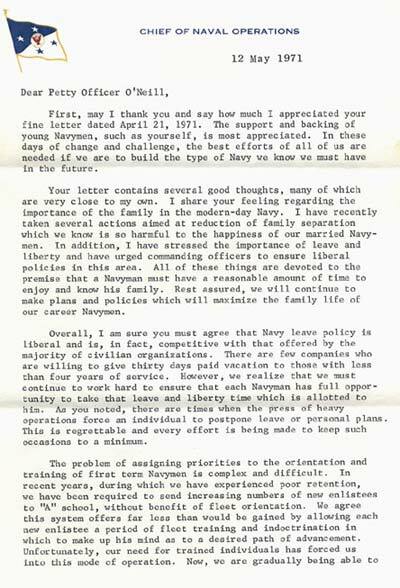 I was an Enlisted Sailor who had made a case more coordinated family leave time and starting what some would call today a “Mentoring Program” whereby new enlisted personnel who expressed a desire to make the Navy a Career would basically be taken under the guidance of a “Naval Officer Mentor”. It would be the Officer Mentors role to coach, and provide a path of advancement for Enlisted Sailors up through the ranks and eventually lead to a Commissioned Officer role in the U.S. Navy. 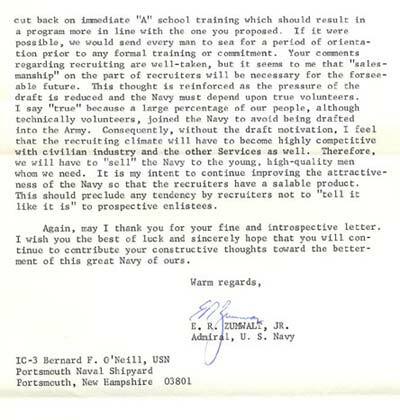 In addition to personal communications to individual Naval Personnel The Admiral was noted for Fleet wide communications called: “Z-Grams.” This was his way of showing his open style of communications and quickly attempting to alter the internal Naval Culture to a new more personal caring military life where “Everyone” was appreciated and respected. It was, in my humble opinion a battle that he would ultimately loose, for better or worse. 1959-61.Promoted to the rank of Captain in July 1961; Zumwalt attended the National War College and held responsible headquarters positions in Washington, D.C., until receiving a further promotion in July 1965. Rear Admiral Zumwalt then commanded Cruiser-Destroyer Flotilla Seven and served in the Office of the Chief of Naval Operations. He became Commander Naval Forces, Vietnam in September 1968 and was promoted to the rank of Vice Admiral shortly thereafter. On 1 July 1970, Admiral Zumwalt received his fourth star and assumed the post of Chief of Naval Operations, the youngest officer to hold that position. During the next four years, he guided the Navy through a period of difficult personnel, fiscal, technological, and operational challenges. 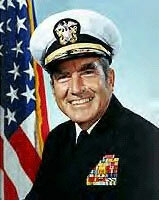 Admiral Zumwalt retired from active duty in July 1974. He was thereafter active in political, policy, and business pursuits until his death on 2 January 2000.